Kristine is President and Lead Event Director at Kristine King Events. Kristine brings a wealth of creative and organizational skills from her experience in event planning, public relations, fundraising and marketing. She also brings a passion for design and details. Kristine grew up in Lancaster, Pennsylvania and later attended Penn State University where she was a four year member of the varsity women's tennis team. After graduation, Kristine pursued her love of event planning and creative design by interning at Lindsay Landman Events in New York City. 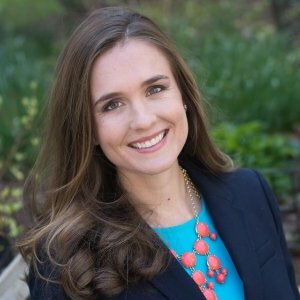 After her experience at Lindsay Landman, Kristine pursued a career in public relations, advertising, and marketing, where she further developed her organizational and planning interests. Kristine was also a member of the New York Junior League and led the External Communications Committee for four years. Kristine met her husband, Andrew, through nycTies, a non profit volunteer-based organization, where she was actively involved in fundraising, gorilla marketing and broader marketing initatives. After Andrew proposed in 2013, Kristine re-discovered her love of event planning, design and coordination, acting as the sole planner and lead designer for her own wedding in Lancaster, PA.
Kristine's wedding was featured in Style Me Pretty, where it was posted by the magazine on two separate occasions and received over 9000 likes on Facebook. The wedding also received strong reviews from the event planning community. As a result, Kristine's friends and family encouraged her to pursue her dream of launching an event planning business. Today Kristine plans, designs and coordinates weddings, birthday parties, baby showers and other special events in Lancaster county, eastern Pennsylvania and in the greater New York City area. Each event aims to please you and delight your guests, capturing your distinct vision and style. Kristine lives in New York City and Lancaster, PA with her husband, Andrew, son, William and puppy, Toby.